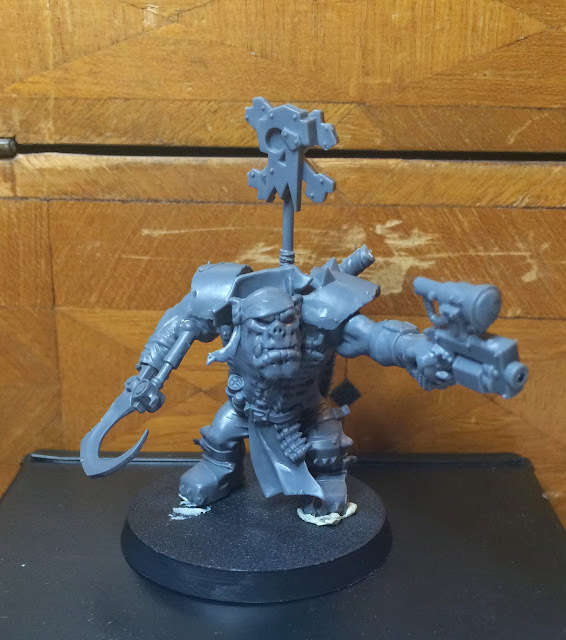 THE CONVERTORUM: Call me Orkshmael. Here's the First Mate in Kaptin Orkhabs rowdy gang of misfits, Mr Orkshmael. And here he is with some paint slapped on him. 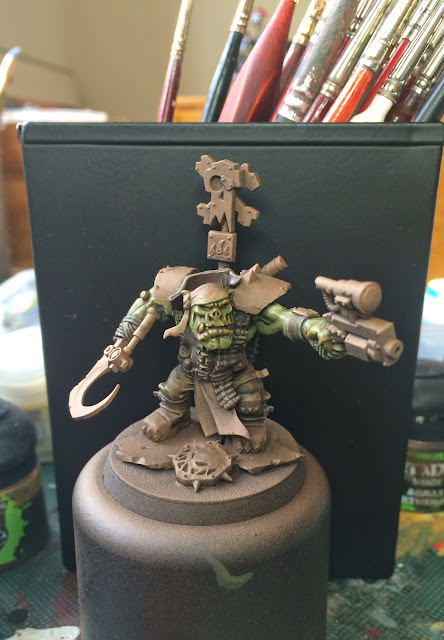 Going for a more subtle and slightly less cartoony palette than my old orks. Wow mate - the paint looks fantastic. 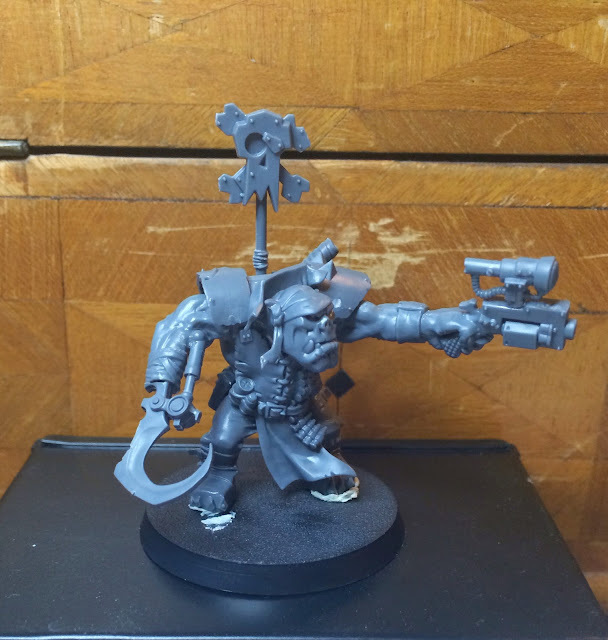 Is he built straight out of the box or have you converted some of the bits? He's a mix of flash git and nob parts, plus a talos hook-arm thrown in for good measure. Great looking second member to the squad! The hook had works really nicely and adds a lot of character. The green skin tone looks fantastic. The more subtle and subdued look makes him look even more fierce and 'ard. I really prefer this one over the first git. Much more dynamic. Beautiful skin tone. Much prefer it to the all-too-often seen cartoonish alternative. Do you have a recipe...? Death world forest base, washed with camoshade. Then drybrushed with old orc green followed by highlights adding increasing amounts of bone to the orc green up to pure bone. The some washes of sepia in strategic places. He is looking very good. The hook is a great addition. And everyone needs more rum.